Alter The Press! 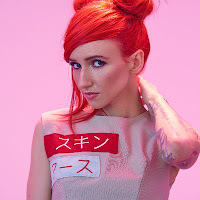 : Lights Releases New Song "Skydiving"
Lights Releases New Song "Skydiving"
Lights has unveiled the video for "Skydiving," a new song from her upcoming album Skin&Earth, which can be viewed below. The song is the follow-up to her recently released single "Giants," and corresponds directly with Issue 1 of the album's companion comic book series - Skin&Earth #1 - which is on sale now via Dynamite Entertainment.